Founded in 1989, Tri State Healthcare Laundry, Inc. is a full-service health care laundry processor and linen rental company locally owned and operated in Edgewood, Kentucky. We have remained a top quality linen and service provider throughout Kentucky, Ohio and Indiana for more than 25 years. 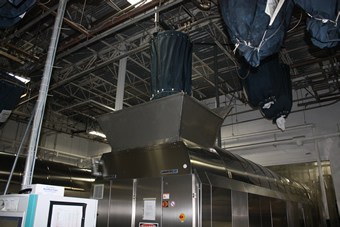 Tri State employs the latest laundry processing technologies to ensure our customers receive the highest quality linens in the industry. We pride ourselves on providing the best customer service and quality linens in the health care industry. From the associate who unloads the trucks to our General Manager, we understand that meeting the specific needs of our customers is the foundation of our success. Our goal is to provide you with the highest quality linens on a timely basis in a cost-effective manner. Linen is fundamental but critical: it should “just be there” when you need it, in the quantities you require. This simple philosophy has enabled Tri State to become the area’s largest Healthcare laundry provider. It’s simple: to provide health care linen and laundry services to customers who demand quality products and cost control through the best possible utilization of linen. We strive to become more than simply a vendor to our customers – we form a long-lasting partnership created through exceptional support, service and integrity.